Rio Rancho, New Mexico’s third-largest city has been an easy target for environmentalists and critics of development-oriented growth. It relies completely upon the aquifer for its water supply; its municipal government is small (it didn’t incorporate until 1981) and arguably beholden to the interests of corporations like HP and Intel who have moved to Rio Rancho to take advantage of property tax abatement and other government-provided incentives. But if ahistorical (and unchecked) growth is Rio Rancho’s signature, then it is really a reflection of the same growth that Albuquerque has undergone. The City of Albuquerque’s population in 1980 was only 3/5 of what it is today. Rio Rancho and Albuquerque’s stupendous growth underlies many problems they face going into the 21st century. The other day I was poking around Zimmerman library’s scant collection of books and theses about Rio Rancho. A 1998 thesis by Patricia Pollock argued that “AMREP [American Real Estate and Petroleum, Rio Rancho’s developer]’s sole motive in purchasing land in New Mexico was to tap into the profit potential of land speculation. Likewise, the growing residential market enhanced the investment potential for individual owners.” Another 1994 article talks about how Rio Rancho is a new template for 21st-century company towns; in this light Rio Rancho is McDonald, Ohio, and Intel is this century’s Carnegie Steel. But these arguments cast Rio Rancho as anomalous; despite isolated fears about groundwater and air pollution in Corrales, Intel’s presence has been generally well-received. Despite some frustrations about lost tax revenue, it’s hard to imagine anyone in Albuquerque or Rio Rancho city halls complaining about Intel and the overall boast it has supplied to the regional economy. And when compared to SunCal, Eclipse Aviation, and any number of other failed developments, Intel comes across as both a model and an exemplar of successful development. 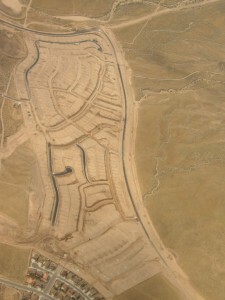 As Clearly New Mexico pointed out, the most recent SunCal bid for TIDD tax-breaks didn’t fail because of organized opposition to the development of the West Mesa, but because their proposal was transparently untenable; politicians know that tax breaks are only worth it so long as gross receipts tax from the actual construction of houses makes up for their losses. We weren’t so lucky with Eclipse Aviation, but like other failed developments, Eclipse failed not because it was a bad idea but because it was in the wrong place at the wrong time: demand for private jets fell because of the recession, and beleaguered Albuquerque tax payers were no longer willing to subsidize their construction for non-existent customers. Questions about water and the environment take the back seat to development and growth in cities like Albuquerque. But what if development is permanently stalled, and subsistence, let alone sustainability, becomes a priority? Here, critics of growth for growth’s sake have more ground to stand on. A critical view of Intel and Rio Rancho yields a different insight on growth. The United States has enshrined freedom of trade in its Constitution, and as long as the status quo prevents New Mexico from assuming a more regional, self-sustaining outlook, national and international trends will determine the arc of development. But critical uneasiness is well-founded. So long as our economy grew at a rapid pace, projects like the Hoover and Imperial Dams made sense to satisfy a growing population. But as population growth stagnates and housing prices fall, the wisdom of planning for more growth appears more circumspect. India and China, two economies that are still rapidly growing, can afford audacious projects to mitigate the effects of drought. But the wisdom of such autocratic, growth-at-all-costs government, authoritarian by nature and with annual growth rates as the only clause in the social contract doesn’t fit New Mexico very well. a drought for the record books, or a drought for the ages? Albuquerque and Roswell are on pace for their driest years on record, mirroring conditions across New Mexico that have bolstered large wildfires, hurt crops and forced ranchers to sell livestock they can’t afford to feed. Rain has been scarce throughout most of New Mexico, and weather records from Albuquerque and Roswell offer this stark example: The cities have not been this dry during the first five months of a year since 1892, when the state began keeping track. With wildfires raging all over New Mexico (Emanuele, the mayordomo from last week’s post, sent me an e-mail saying that a fire just over the hill from his house is threatening the valley), it seems all the more important to New Mexicans that we find out whether we are in for a brutal and prolonged drought or whether this is something merely temporary and cyclical. Well, the answer (as with most things), really depends on your perspective. 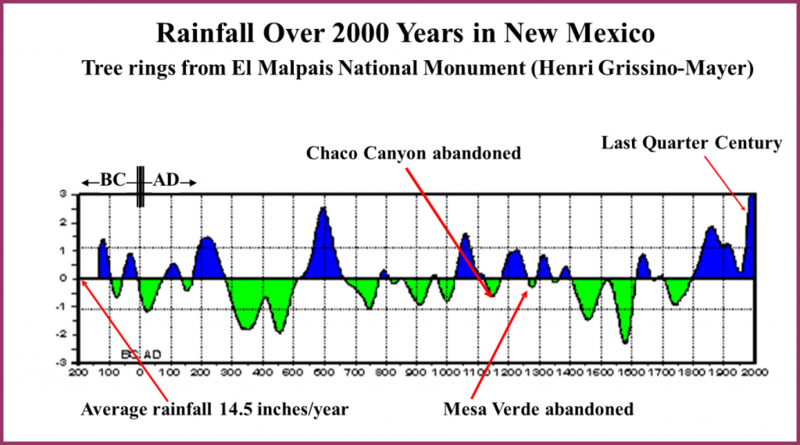 According to the New Mexican article, an University of Arizona study that concludes droughts like this are part of 50-year cycles. What are the politics of water? It is an element that fundamentally defines New Mexican notions of ‘the common good’. How does the law, political debate, the economy, and the historical elements of New Mexico’s diverse population influence the debate and its outcomes? 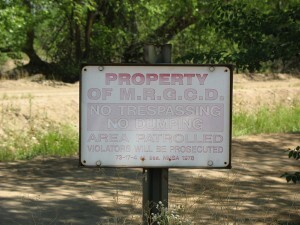 This is the second part of an ongoing investigation into politics of water in New Mexico. Llano de la Yegua lies just northeast of Peñasco in Taos county. Emanuele Corso has the distinction of being the only non-Hispanic Mayordomo in the Llano. “My predecessor was letting one guy take more water than he deserved; the guy slipped him a six pack or whatever every so often as a bribe. People got frustrated enough with the situation they decided to take radical action. When the guy found that the neighbors had appointed me, he was aghast. ‘You appointed a gabacho?’, he asked everyone. ‘He’s not a gabacho, they said. He’s a Sicilian. And that’s why we elected him! '” Emanuele breaks into an easy laugh. His walk is a little unsteady, but he still hops over the little acequia running across his five-acre plot with the energy of experience. Water was the first law in New Mexico. Emanuele takes me up to the top of the valley, where the Santa Barbera river spills through into the meadows below. 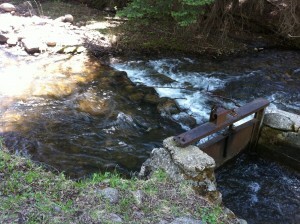 The acequia madre that feeds from the Santa Barbera is divided into three venas. “The uppermost vena which diverts water to my land is called mano Rocindo”, he says, after the Mayordomo who made it about 120 years ago. “Since we’re the highest up on the river, we have to make sure we’re responsible with our use.” He shows me a large, welded gate that diverted water towards his property. “It goes over two miles, and they picked a spot in the river that’s just the perfect amount higher than the upper-most farm. I wish I knew how they did it.” Emanuele looks concerned over the debris. “We really need to call the mayordomo and get him to clean up this stuff, it’s his job…” He seems undecided whether or not to throw his walking stick on the bank and wade in himself to pick out the branches and leaves that have become caught in the gate. What are the politics of water? It is an element that fundamentally defines New Mexican notions of ‘the common good’. How does the law, political debate, the economy, and the historical elements of New Mexico’s diverse population influence the debate and its outcomes? This is the first part of an ongoing investigation into politics of water in New Mexico. I lived on a farm for 6 months in Jaipur, a city in Rajasthan, just off India’s famous Thar desert. The family that owned the farm had built a clothing mill on their property in the 1960’s. Their mill used water drawn from wells beneath the farm to wash dye off the clothing during the manufacturing process. When I arrived, Only two of the farm’s nine wells were drawing water, and with the summer yet to come, the choice was clear: either the mill stops running, or the plants are no longer watered. Across the road, a government official had an estate. If you walked to the northern edge of the farm, you could peer into his yard. There was a fountain, and some of the peacocks from the farm had already made their way on to the man’s estate. Sprinklers watered an expansive lawn and polo ground. In 1919, the San Mateo Land Company purchased most of the old Alameda land grant for 19 cents an acre after a court ordered its sale to pay for taxes the community owed the state. In 1948, SMLC sold the 55,000 acres (fully half the size of modern-day Albuquerque) to the land-speculation company Brownfield & Koontz. The same acreage was sold again in 1959 for $10 million to AMREP, otherwise known as Rio Rancho Estates. AMREP sold half- and one-acre tracts of land to retirees and small-time investors, ultimately collecting about $200 million dollars from the sale of nearly 77,000 lots while retaining ownership of 25% of the land for future development.